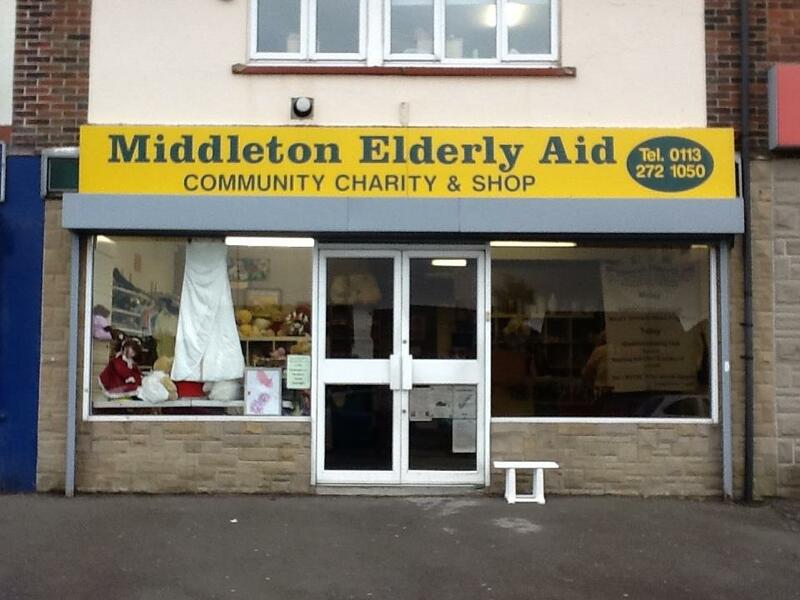 Our charity shop raises vital funds for the over 60’s living in Middleton LS10. It is located at 18 Middleton Park Road. LS10 3ST and thrives with the help of committed and friendly volunteers. As well as supporting the over 60’s, the shop provides low cost clothing, toys, books and lots of other household items. The shop is open Monday to Friday, 8:30am – 3:30pm. Saturday 9:00am – 1:00pm. Don’t throw any clothing away!! Clothing that is soiled or damaged is sold as rags. These are weighed and generate income. Bag them up separately and notify a team member when you drop off your donation. This saves time and ensures your contribution is sorted effectively. We have vacancies for more volunteers to join our team, if you are interested in meeting new people, gaining retail experience and supporting the over 60’s living in Middleton, please get in touch with Shop Managers, Helen Stead or Adele Barron on (0113) 2713999. Or pop in to the shop and pick up a volunteer application.